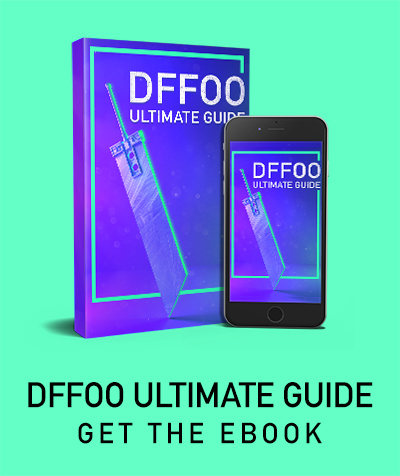 Welcome to the DFFOO guide on artifacts! This guide will give you a good idea on the newly implemented artifact system that is available in co-op. Artifacts are items that you can get from the special 70 co-op that will give you random passives to improve your character stats. You will need to level up the artifact by feeding other artifacts to limit break them and max it out. Currently, you can get 2,3 and 4 star artifacts of the 3 synergy characters for the 70 co-op. They are Balthier, Terra and Edge. In the future, there will be other artifacts of feature characters that you can get. You can also equip artifacts as your armor if you choose to do so. However, it doesn’t provide stat boosts. As you get artifacts from farming level 70 character co-ops, you will start getting 2,3 and 4 star artifact drops. You can only use artifacts to level up other artifacts. To level up an artifact, you select the artifact you want to level up and feed it to the main one. As for limit breaking, just like weapons, you will want to feed an artifact of a similar grade to another one. You can limit break an artifact up to 3 times. As you limit break and level the artifact to max level, you will gain a random conditional passive. You can look at the available conditional passives under the “Artifact and Passive Stats” section. 2 star artifacts can get only 1 stat passive but not skill passive. Since the stats and CP cost you get are random, it will be up to the random number generator gods to help you get an optimal passive artifact with the desired stats you want. Below are the stats you can get, from easiest to hardest due to lower odds. To sum it up, you will always want a 4 star artifact with lower CP costs(ideally less than 8) and good stats! As a rule of thumb, only limit break and get passives for 4 stars! In the long run, you don’t want to waste too much time on 2 and 3 star artifacts. Use them to level up the 4 star artifacts. Also, another tip is to use the old max level artifacts and feed it to the new ones. You won’t lose the passives you gain for the character. You also cannot use another character’s artifact to limit break a character you want. You can’t use Terra’s artifact to limit break Balthier’s and vice versa. That means you will always need to grind for a while to get a specific character’s artifact. However, the feature character event always has his/her artifact as a guaranteed drop in co-op. So right now, we have Eiko’s character event. So once you successfully clear the mission, you will be guaranteed either a 2,3 or 4 star artifact drop. The additional drops from the mission will give a chance to get the other synergy character artifacts. In this case, it will be Yda and Bartz. Farming artifacts is relatively simple. You will just have to join the level 70 character event co-op with 2 other players and defeat the boss. You will get 4 artifacts per run. It will be a long grind but it will be worth it if there is a character you would really like to improve. These are the passives you can get if the artifact is 3 and 4 stars. The odds of getting the ★★ passives are very low though, so don’t expect them to show up often when you max out your artifact.